Online webinars are available through the Benjamin Institute for Advanced Studies. 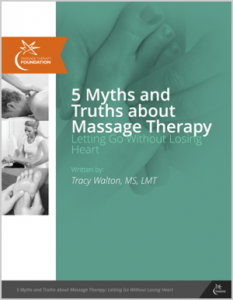 These webinars, featuring Tracy Walton, feature an introduction to practices in oncology massage, hospital-based massage therapy, and cardiovascular conditions and massage therapy. For most massage therapists, webinars do not substitute for face-to-face training in oncology massage, but they do provide an overview of some key concepts. They are also a way to check out our approach and teaching style. > > See our Massage in Cancer Care Series. > > See our Common Cardiovascular Conditions and Massage Series. > > See our Hospital-Based Massage Therapy Series. > > See our More about Cancer Care and Massage Series. Webinars may be ordered individually or as a series. All come with the option of completing a quiz for massage therapy CE hours, approved by the NCBTMB. Each webinar is worth 1.0 to 1.5 CE hours; a series is worth 7.0-9.0 CE hours. Isabel offers training in an Eastern and energetic perspective. Her website describes her approach and her courses. Founder of Liddle Kidz, Tina offers a variety of courses, including massage for children with cancer, around the world. Her nonprofit organization, Liddle Kidz Foundation, is dedicated to bringing touch to children in need. Visit her website for more information about her work and training. Shay is the founder of Integrative Touch for Kids Develops massage programs in medical facilities that serve children with chronic, acute and life limiting illnesses. Cheryl offers specific training in mastectomy work, also teaches geriatric massage and prenatal massage. Her website has more information about her practice and her courses. The Center offers hands-on training for MTs, hospice professionals and eldercare providers. See their workshop schedule at Compassionate-Touch. Author of two massage therapy texts, Debra also teaches workshops on breast massage workshops in Canada and the US. Click here for more information . Gayle, author of the book, Medicine Hands, also offers a 5-day hospital intensive and a longer certificate training course. Her teaching schedule is on her website. Lauren teaches a six-day intensive course on Oncology Massage in the hospital setting. Visit her website for more information about her work and course. Meg teaches a three-day hands-on workshop, Massage for People Living with Cancer, developed by Gayle MacDonald. You can visit her website for more information about her work and course. Offers “Caring for Clients with Cancer,” a three-day intensive course with clinic, and “Caring for Clients with Cancer Advanced Seminars,” a one-day optional add on in several cities. She also offers a one-day safety essentials for spas and clinics, “Cancer and Massage: Introduction to Safe Practice Steps for Massage Therapists.” Training schedules, useful articles, and reviews by participants are at www.tracywalton.com. Dawn offers a training titled “From the Heart through the Hands: The Power of Touch in Caregiving.” Visit her website for more information and many wonderful resources in this area. Click here for more information. Director of Day-Break Geriatric Massage. Although not a cancer training per se, the institute offers excellent trainings around the country in techniques and safe practice for elders, from frail to robust. Irene is a pioneer in skilled touch in hospice care, caregiving, and HIV. Based in the San Francisco Bay area, Irene writes a wonderful blog at Everflowing. Beaumont Hospital in Michigan offers a 6-day Clinical Oncology Massage course to train therapists to work in the hospital setting and beyond. The Colorado School of Healing Arts offers a program at their facility in Lakewood, Colorado. Teacher at Guijek, Institute of Quebecois pour la Santé Integrale. The school offers an intensive course over six weeks in Montreal in either English or French and the hospital internship component is at an English speaking hospital. Contact François Labrecque at 514 527 2666 or reach the school through their website. MD Anderson Cancer Center in Houston, Texas offers a course through the Complementary and Integrative Medicine Education and Resources (CIMER) site. Memorial Sloan-Kettering Cancer Treatment Center’s Integrative Medicine Service, led by Wendy Miner, offers two levels of courses in New York City. 212.639.8629. The Peregrine Institute of Oncology Massage Therapy in Santa Fe, New Mexico offers a program featuring Sandy Canzone, Gayle MacDonald and other instructors. More information available through MacDonald’s website.